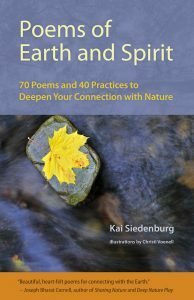 This book of nature poetry and practices shows us just how easy and enjoyable it can be to tap into the power of nature to calm frazzled minds and lift weary spirits, even in the midst of a city. Author Kai Siedenburg points to two basic keys: finding small but satisfying ways to connect with the Earth in daily life, and making the most of our precious time in wild places. Her insightful and delightful book helps us do both. 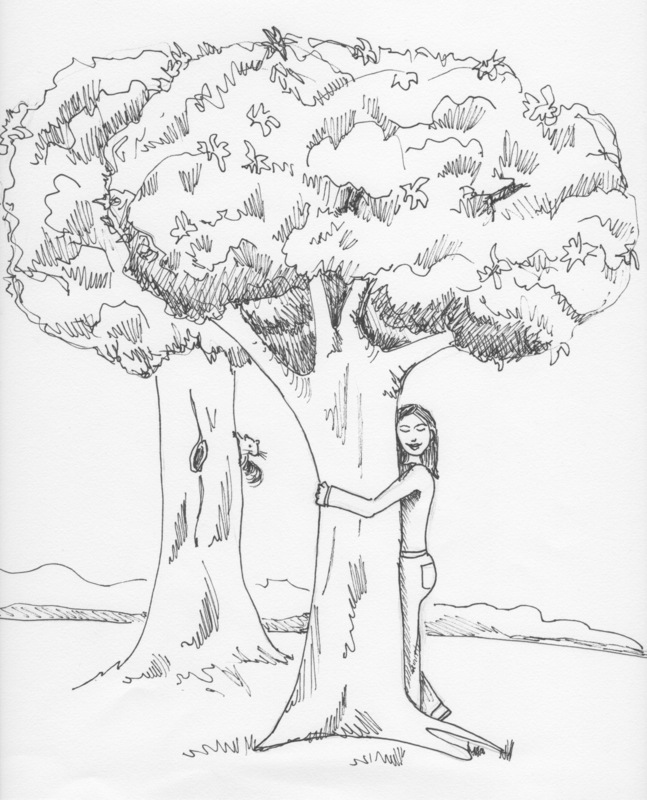 Through intimate original poems, we experience loving encounters with trees, the gratitude of thirsty plants quenched by rain, and cross-cultural communication with chickadees. We feel what it is like to walk on padded paws, to take wing, to root ourselves in the earth. And through carefully crafted practices, we learn how to cultivate a direct and nourishing connection with nature that will support and sustain us wherever we go. 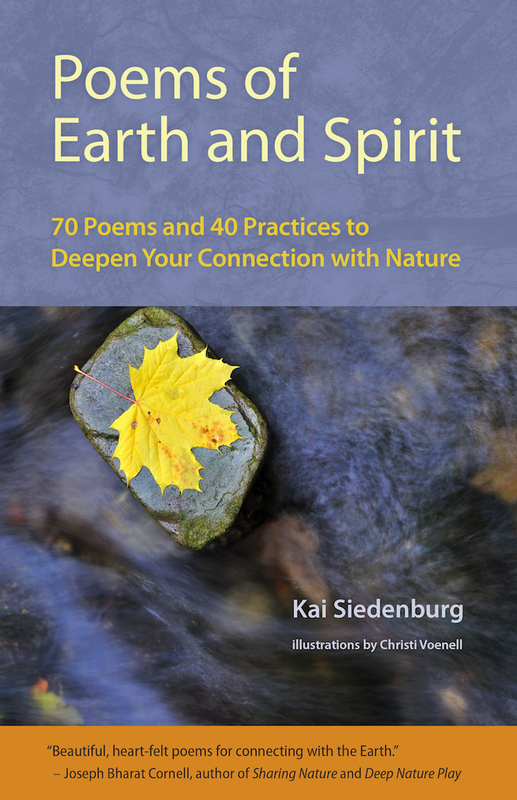 In this high-stress, high-tech world in which so many of us hunger for more authentic connection, Poems of Earth and Spirit illuminates a direct and scenic path to greater joy, meaning, and belonging. This is a book that keeps on giving—and not just to its readers. A portion of the sales raises funds in aid of TreeSisters, a grassroots network that plants over a million trees a year in the tropics. Meet some of the poems here or in Our Nature Connection’s Facebook page. 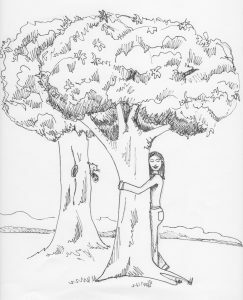 Look inside Poems of Earth and Spirit or see reader reviews on Amazon. For bulk orders and discounts, contact Kai Siedenburg. —Joseph Bharat Cornell, author of Sharing Nature and Deep Nature Play: A Guide to Wholeness, Aliveness, Creativity, and Inspired Learning. —Mary Reynolds Thompson, author of Embrace Your Inner Wild: 52 Reflections for an Eco-Centric World and Reclaiming the Wild Soul: How Earth’s Landscapes Restore Us to Wholeness. —Ariana Candell, LMFT, R-DMT, Ecotherapist and Founder of The Earthbody Institute. —Patrice Vecchione, author of Step into Nature: Nurturing Imagination & Spirit in Everyday Life. © 2019 Our Nature Connection.